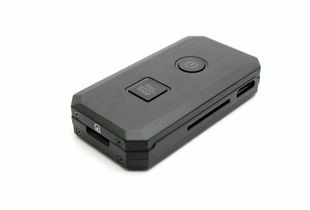 The PocketDVRMini is a first class DVR in a miniature form factor. This rugged unit is highly portable to serve your covert video operations wherever they take you. Resolution. Video files are a clear and discernible 720x480 resolution at 29 frames per second. Continuous video and motion detection. Perfect for either walk-around covert video applications or stationary in-place covert video operations. 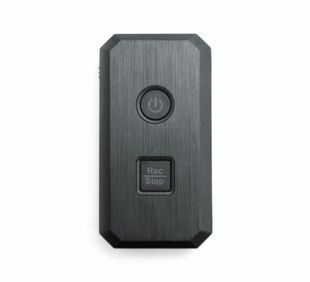 The wired remote control allows you to turn the recording mode on and off without removing the device from youre pocket. You can thread the remote down your sleeve for easy access. Records to removable memory. Worry about memory limitations no longer. All you need to do when you run out of space is just replace the microSD card with another one or remove the files to a computer for storage. Easy file retrieval and management. You can segment your surveillance case evidence files into folders that keep your evidence organized. Includes time and date stamping. Provides fast USB upload connection to your computer or digital device. Small enough to hide in your pocket-fits in cigarette package. 1 x 4GB SC Card Included. Watch Your Kids, Business or Your Cheating Spouse from Your Smart Phone While Being Recorded on an SD card. The Secure Shot HD Live View 3D Blu-Ray Player Spy Camera/DVR is Available in Hi-Res Color or NightVision Invisible IR Models. SecureShot 1080p High-Def Smoke Detector Spy Cam/DVR w/NightVision Has a 6/Month Battery & is TOTALLY Covert. Great Color Video by Day, and Great B&W Video at Night, EVEN IN TOTAL DARKNESS. Click on Image for DEMO VIDEO. Our SecureShot HD Live View CO2 Detector Hidden Camera/DVR w/Nightvision Naturally Blends in with Your Home. No One Will Suspect They are Being Recorded From a Hidden Pinhole Camera. 1 Year Warranty and Free Tech Support. CLICK IMAGE To See Demo Video. Place This Hi-Def Stuffed WiFi Dog Spy Camera/DVR Where Your Nanny Watches Your Child And You Can See What Happens To Your Child From Your Smart Phone. Your Nanny Will Never Know He/She is Being Watched. It Makes The Perfect Nanny Cam. SecureShot HD Live View Ihome Cube Clock Radio Spy Camera/DVR for Apple and Android Devices, Allows You View Live Video While Being Recorded on a Hidden SD Card. See's in TOTAL DARKNESS & TOTALLY COVERT. Our SecureShot 1080p HD Ihome Bluetooth Clock Radio Spy Camera Has Great Color Video by Day, and B&W Video at Night EVEN IN TOTAL DARKNESS! Our Invisible IR Illuminators are Hidden Behind the Display. 1 Year Warranty and Free Tech Support. See Demo Video. No One Will Know they are Being Recorded. Our Lawmate Car Key Voice Recorder Can Be In Your Pocket, On Your Table, In Your Vehicle, Or Office. Excellent Sound Quality and Extremely Discreet Key Design & Simple Operation! CLICK Image for Details. This Smartphone USB Cable Wi-Fi Spy Camera/DVR Connects To Your Wi-Fi For Live Streaming, Alerts, And Recording. If Wi-Fi Isn't In Your Area This Camera Records To Its External Memory With No Wi-Fi Connection Needed. Click Image For Details. Are You Looking For A Covert Clock At An Affordable Cost? This Small Compact Desk Clock Is Perfect For Any Office Or Home And Allows You Livestream Video From Anywhere At Any Time. See And Hear Your Cheating Spouse Or Office Worker Doing Bad Things. Get The Evidence You Need with Our New Inside & Outside Super High Resolution 4K Cameras. Custom Made with Lifetime Warranties with Free Tech Support. Click Image for Details. Mini Clock WiFi Hidden Camera... Record or Live Stream Video in the Dark Up to 15 Feet. Wide, 120 Degree Viewing Angle To Catch All the Details. Click Image for Details. Night Light WiFi Spy Camera/DVR. This Fully Functional Night Light That Allows You To Control The On/off Light Switch Through Your Smartphone App. Get The Evidence On Your Smartphone. Spy On Your Spouse in Real Time! View on Smart Phone & Record To! Bad Nanny or Stealing Employee? GLC Enterprises, Inc. has successfully installed the WiLife 6 Camera Pro System in Kazimierz Aleszczyk Machine Shop in Bensenville, IL. Now Mr. Aleszczyk is able to clearly watch over his operation to make sure it is running smoothly and efficiently 24 hours a day! - Mr. Aleszczyk (President - Wright Technologies, Inc.) says... Thanks again! I received the Clorox Bleach Wet Wipes hidden camera and the P-10 mini portable DVD receiver/recorder. The quality is great on the Clorox cam!